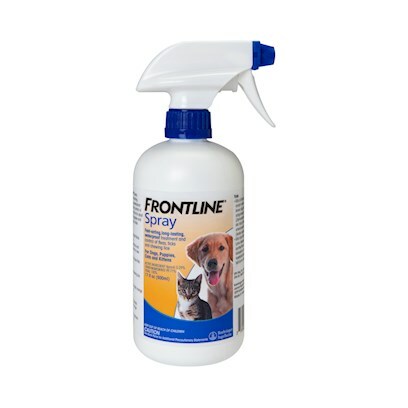 Frontline Spray is a quick and simple way to keep fleas and ticks from cozying up to your cat or dog. Not only does it kill these pesky buggers, but it keeps them away for 30 days. Rated 4.5 out of 5 by 34 reviewers. best stuff there is for fleas...safe too! Frontline works on Texas fleas! The only one we use. Why Bother with Other Products when THIS ONE WORKS! THIS TOTALLY WORKED FOR MY HORSE!!! I ruffled my horses coat and sprayed this stuff on the ticks..in 5 hours they were COMPLETELY DEAD and the just fell off when I touched them!!!!!!!!!!!! LOVE THIS PRODUCT!!!!!!!!!!! To buy anything else is wasting money!!!!! !